Houseplant/terrarium or Wardian Case fern. 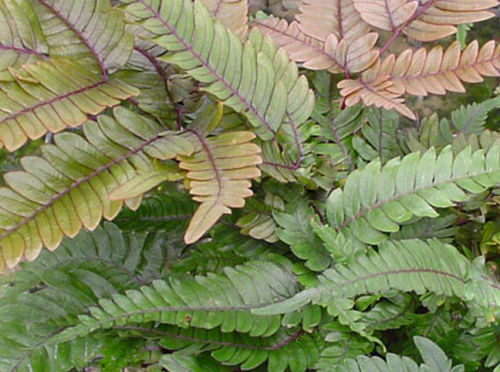 New fronds are a bright red, turning bronze before becoming a dark green. Easy going houseplant and perfect for adding colour to the vivarium.